This week kicks off Hampton University’s 38th Annual Black Family Conference with its opening ceremony in Ogden Hall at 7 p.m. The theme for this year is, “Full S.T.E.A.M. 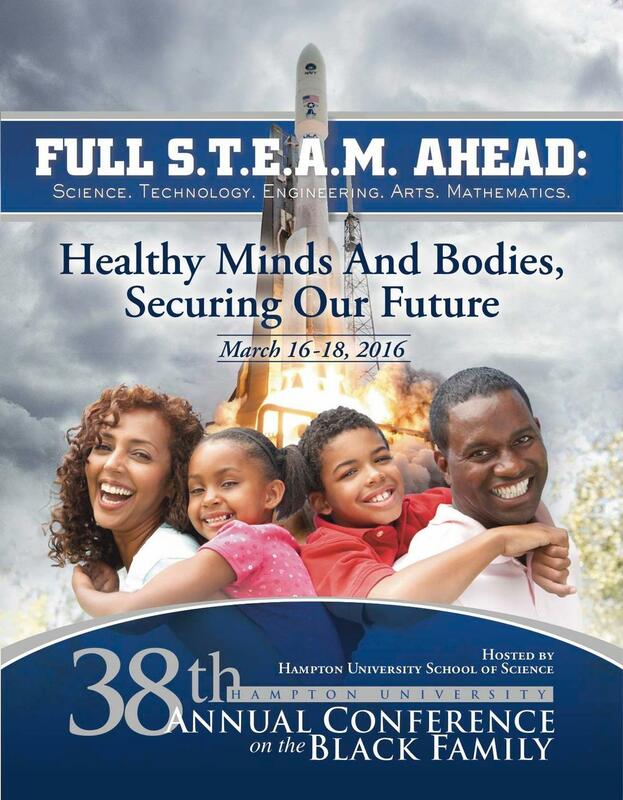 Ahead: Healthy Minds and Bodies, Securing Our Future,” and it is hosted by HU’s School of Science. Since 1978, Dr. William R. Harvey has hosted the Black Family Conference at Hampton University in order to give families a chance to discuss issues that concern and particularly affect the black community. Dr. Luther Williams, a professor from Tuskegee University (Emeritus), and the former Assistant Director of Education and Human Resources and the National Science Foundation, will be the keynote speaker at tonight’s event. This year’s conference held in conjunction with the School of Science’s 21st Annual Research Symposium. The three day event begins with the opening ceremony Wednesday March 16. Thursday, March 17 will be filled all day events including panel and roundtable discussions, a luncheon, and a Research Symposium with a reception. The keynote speaker will be Dr. James Hubbard Jr. who is a Distinguished Professor from University of Maryland, College Park, the Director of Morpheus Laboratory, and the Director of Center for Adaptive Aerospace Vehicle Technology at the National Institute of Aerospace. Friday closes out the conference with a Stroke Awareness Symposium, a Research Poster Session, and closing luncheon. The keynote speaker will be Saundra Yancy McGuire, PhD., the author of Teach Students How to Learn, retired Assistant Vice Chancellor and Professor of Chemistry, Director (Emerita) for the Center for Academic Success at Louisiana State University. This year’s conference will help dispel myths that are accountable for the underrepresentation of African Americans in S.T.E.M. fields, show the connection between the Arts and Sciences through music, and to discuss safety in cyber space. The S.T.E.A.M. Expo and the PHantastic (Physics) Voyage events will feature hands-on activities to entertain local elementary school children who attend the conference as well. Past topics of the conference have included diabetes awareness, racism and discrimination, economic development, heart attack, and stroke awareness as well. The conference events are free to Hampton University students, $65 for the general public, and $20 for military and seniors.